I will be short today, because exhausted week is behind me and I'm really happy that weekend is coming and time to relax with it. I have another friend card for you, this time with this little chicken friends. They are so funny and cute, don't you think? I used Springtime Friends die. One motive and this quote was enough to create clean, simple and funny card. 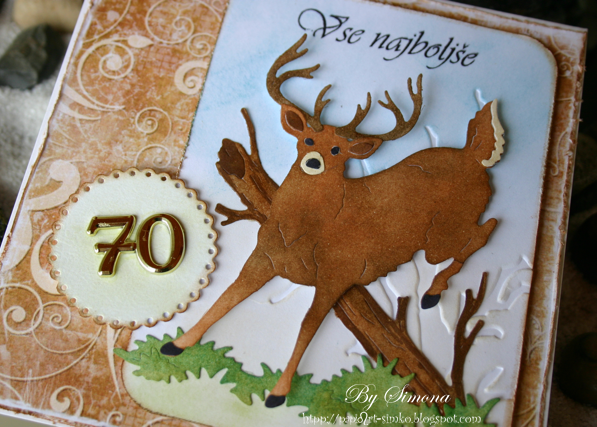 Another quick and easy card to put together. 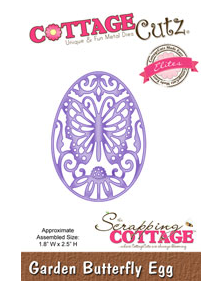 and Garden Butterfly Egg out of pink Bearly Mine digital paper. stitching pattern with a purple marker. for you, using the NEW Spring Collection! Hi all, Vladka here today! We all know how important friends are, but in the craziness of life we sometimes forget about them because we don´t have enough time, but we know that best friends are always there. We can always count on them and this feeling is something what makes our life much easier. It doesn´t matter how long we don´t see each other, but when we do, it is like it was yesterday. There is always so much to talk about, so much common memories to remember and it is always fun to hang out with friends. And the most important they are always there when we need them. So, this card is perfect way to tell your best friend how important is he/she to you. And you have to admit, it is also a cute way to do it. 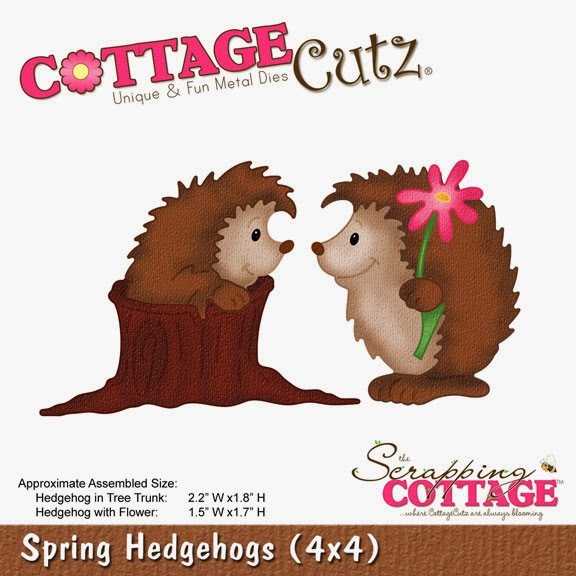 I combined following Scrapping Cottage dies together to create this card with fall look: Spring Hedgehogs, Build a grapevine wreath and Mushrooms mini. 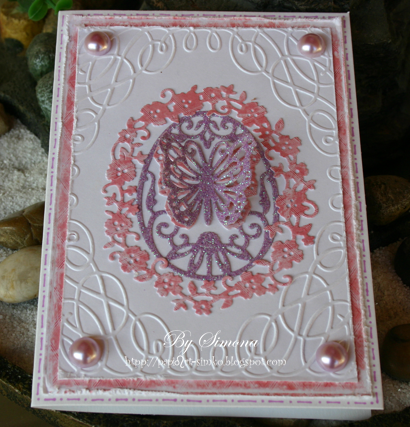 It is always fun to use different dies and combined them together. I wish you all one funny day! Today, I am sharing a Love card. 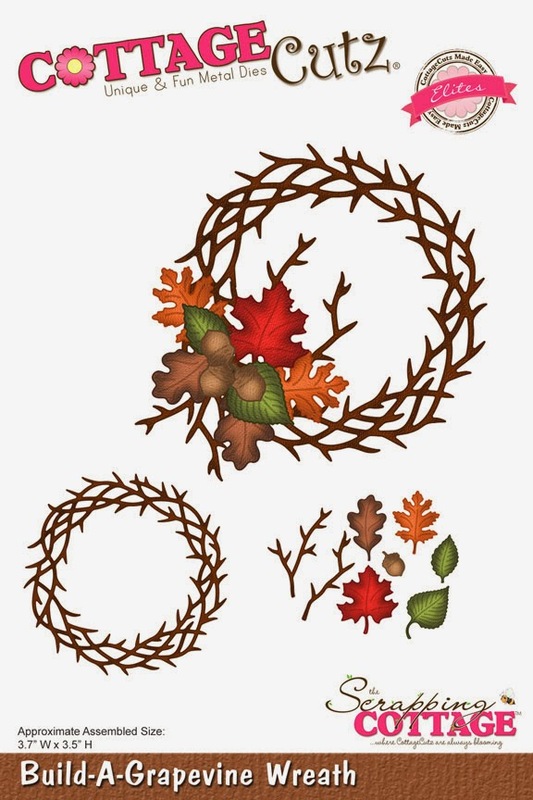 I created with Beautiful CottageCutz Collections of dies. 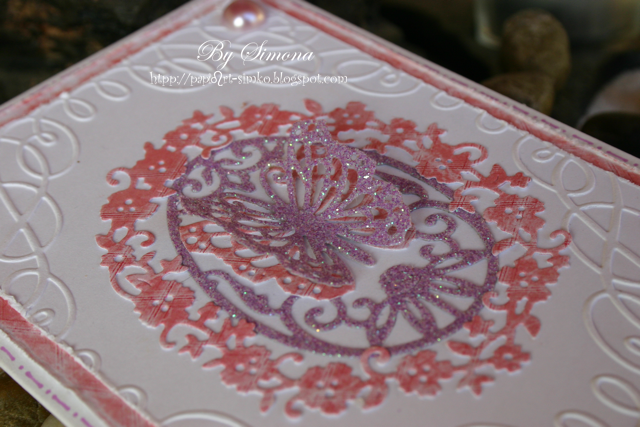 For this card I used NEW "Floral Doily (4x4) die. 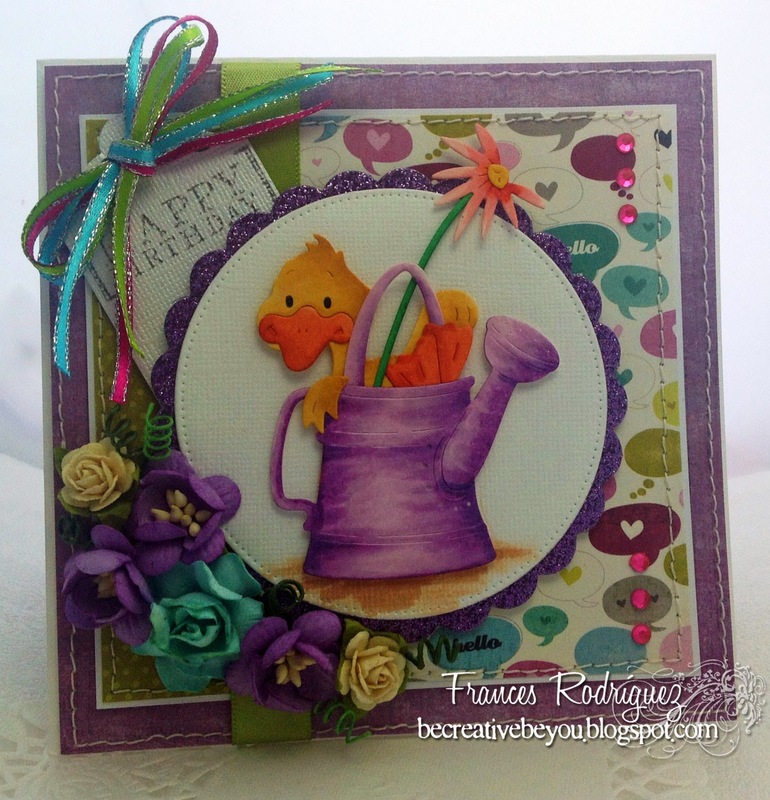 For this card I used Beautiful Doily die. Just, cut doily out, sponge the edges and glued to cranberry background. For sentiment, I stamped sentiment on white paper using cranberry ink, cut out and put on doily using foam squares for dimensions. 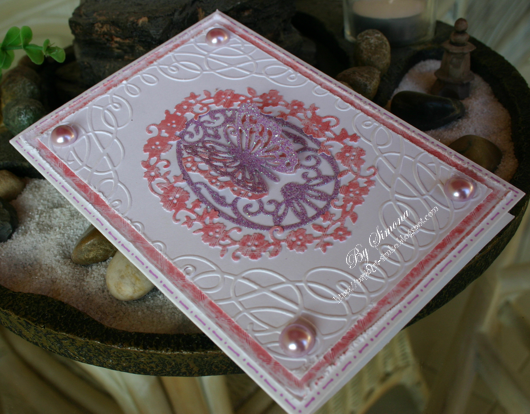 Decorated card with ribbon, clear Dew Drops and white half craft pearls. Kathy here with you! 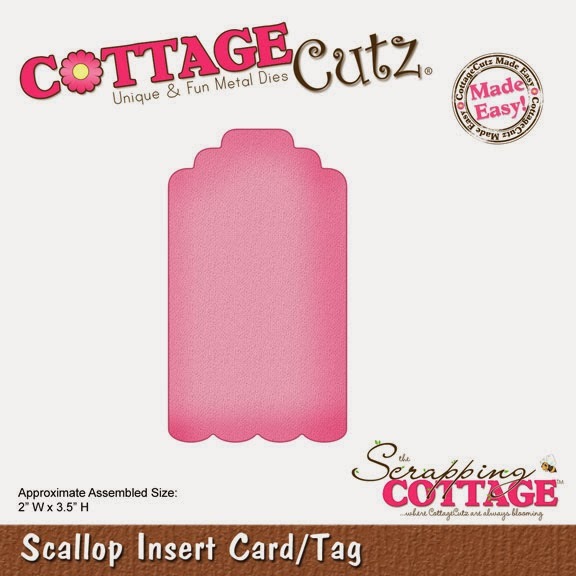 Today I have a card to show you using 3 CottageCutz Dies from The Scrapping Cottage. 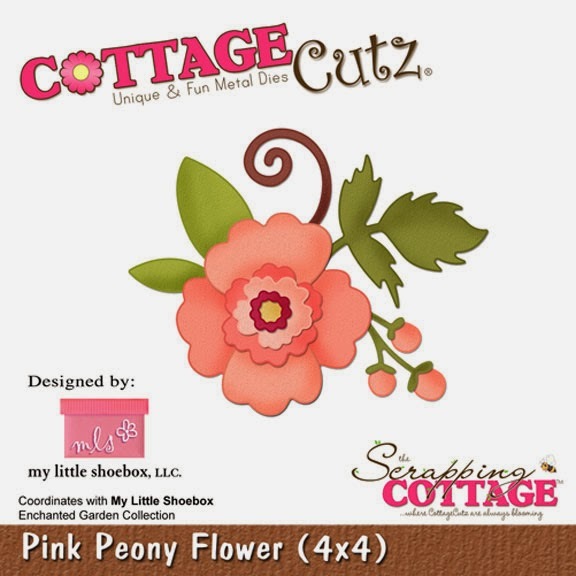 The Garden Delight Butterflies (from the new Garden Delight release), Scallop Insert Card/Tag, and Pink Peony Flower. All the die pieces were cut with white card stock. I colored the flower using Pink Grapefruit, Aloe Vera Chalk Inks (VersaMagic) and Amaretto Chalk Ink (PowderPuffs). The pieces were shaped using a tool kit and mat and then glued together. I added the flower to a tag that I stamped with a sentiment using black ink. I used a "Love You Much" sentiment, but I think this would be a pretty wedding card too. 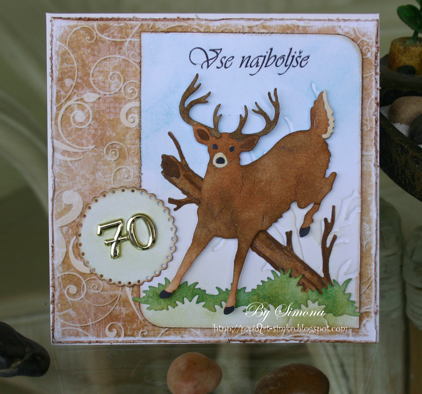 I originally started this as just a tag, but then decided to place it on an embossed card using pop dots. I kind of like the way it looks! 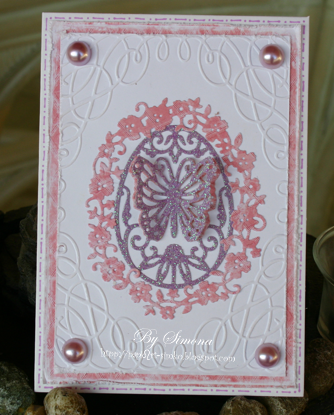 The card base is white and then the embossed piece is 3/16" smaller and added with pop dots. After glueing everything in place, I added some Diamond Stickles, White Opal Liquid Pearls, a button, and some pearl floss. who celebrated on February 9th. It was so easy to put all the pieces from the die together. 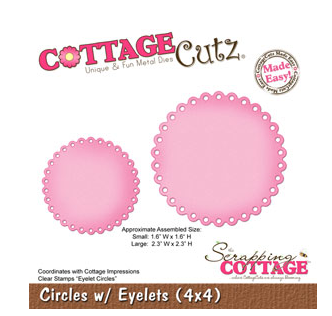 retired die Circles w/ Eyelets. Hello everyone and Happy Thursday to all! 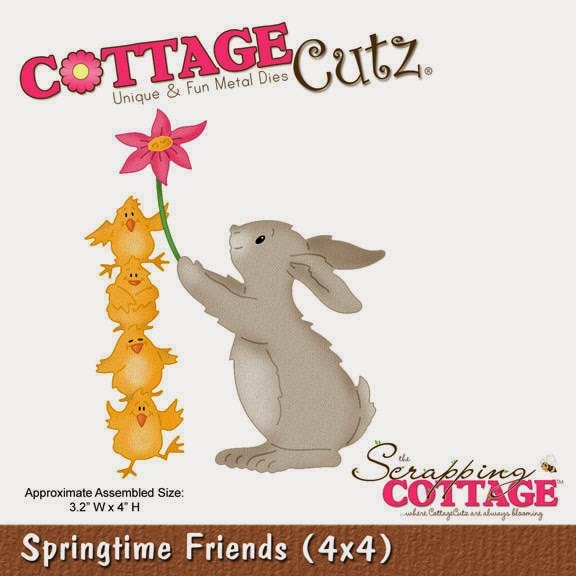 Today I have a springtime card to share using the DARLING CottageCutz Dies from the "Garden Delight Release" from the Scrapping Cottage found here. On my card I used the DARLING CottageCutz "Springtime Friends" die, and cut all pieces in white, then colored with copics. 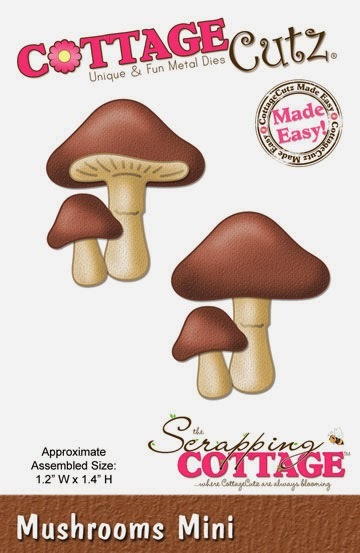 LOVE these little friends as they are super CUTE!!! 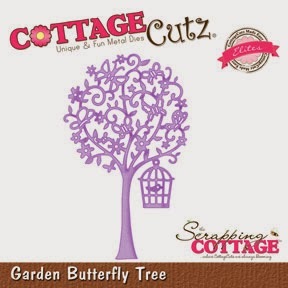 Next I cut the tree in white as well, then colored all the flowers,butterflies, and bird with copics as well. I next added some pearls to the centers of all the flowers in tree. Love how this one turned out. 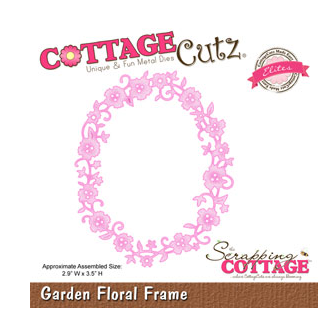 The CottageCutz Sweetheart border is from the Sweet Love Release and I LOVE this border die, its perfect for all my cards and projects! I thank you for stopping by and hope you have a super awesome day! Chocolate Cupcakes-yum yum!!! At least these have "NO CALORIES"!!! 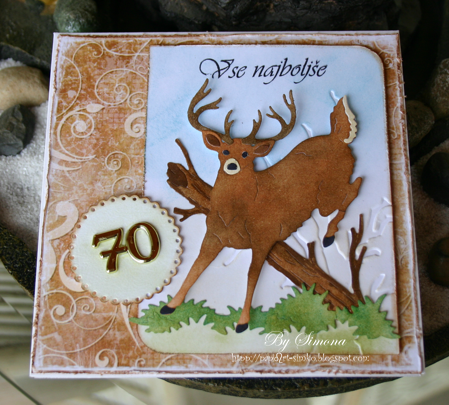 Oh what fun it was to make this card. 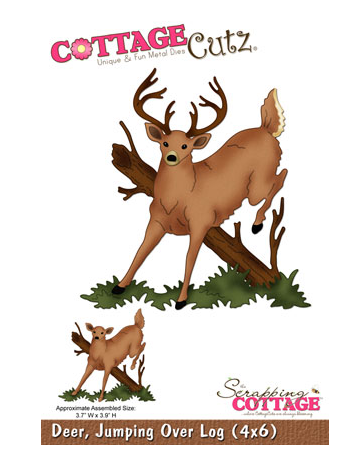 Someone very special was on my mind when I was designing this. 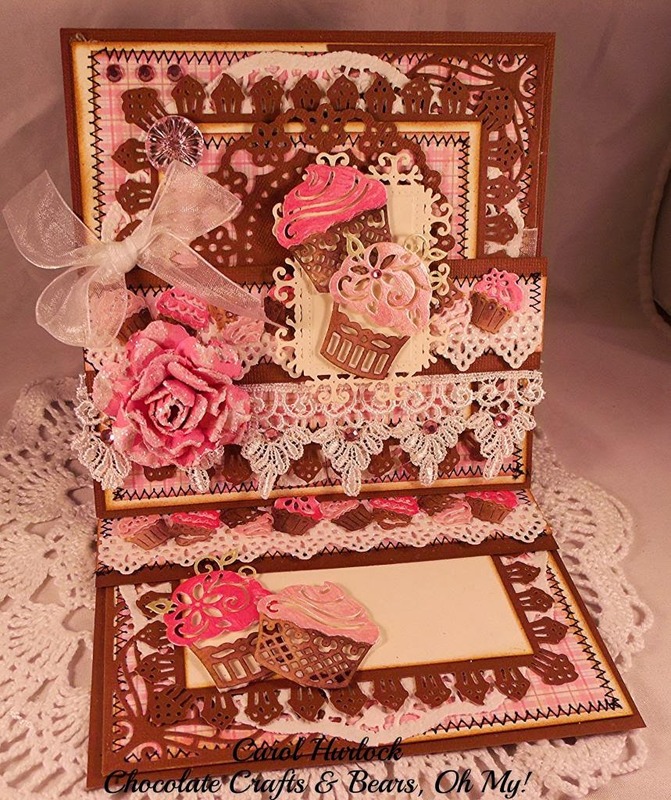 The wonderful Teaparty Gals at splitcoast stampers are having a teaparty for my dear Mother. You can read all about it here. The theme for the party is Chocolate, Cats, or Angels. 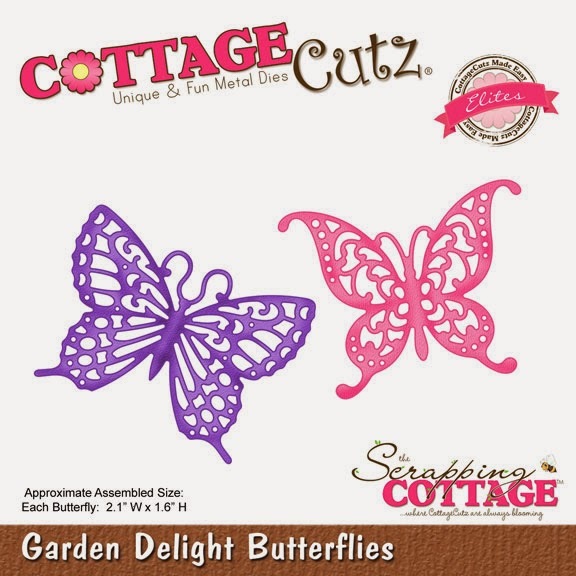 I used the beautiful CottageCutz dies from the Sweet Love Collection. It was fun to color my images with distress and smooch ink. 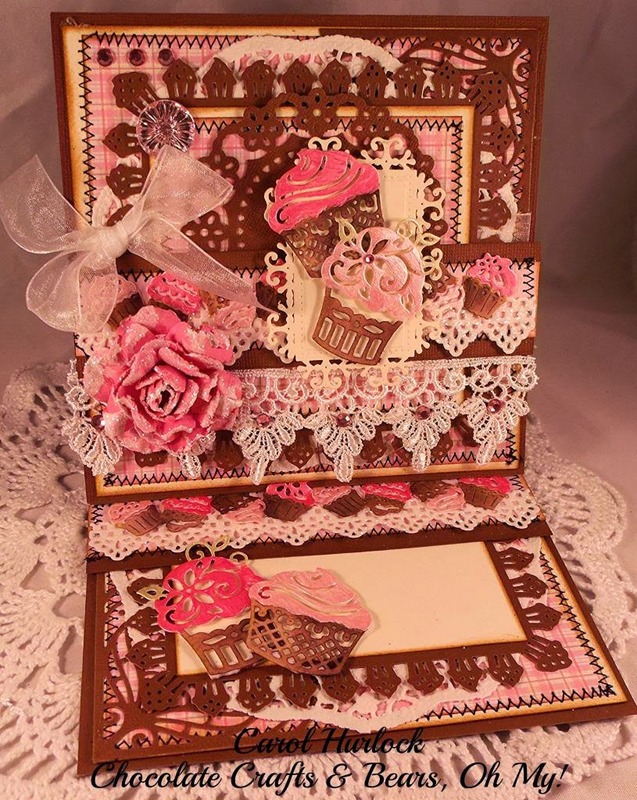 The cupcakes are the Sweet Filigree Cupcake and Floral Cupcake. 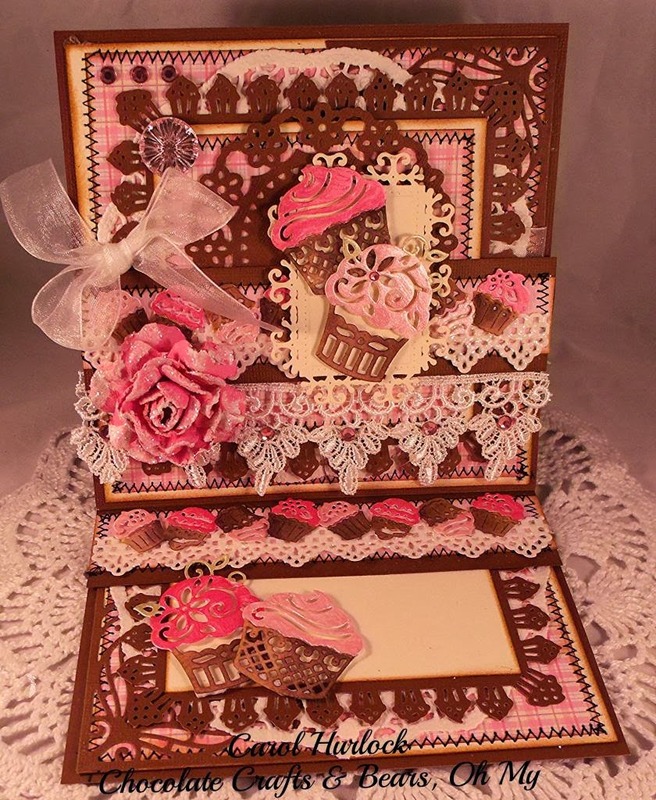 For the border pieces the Sweet Cupcake Border and Fancy Lace Border were paired together. They look really cool together. 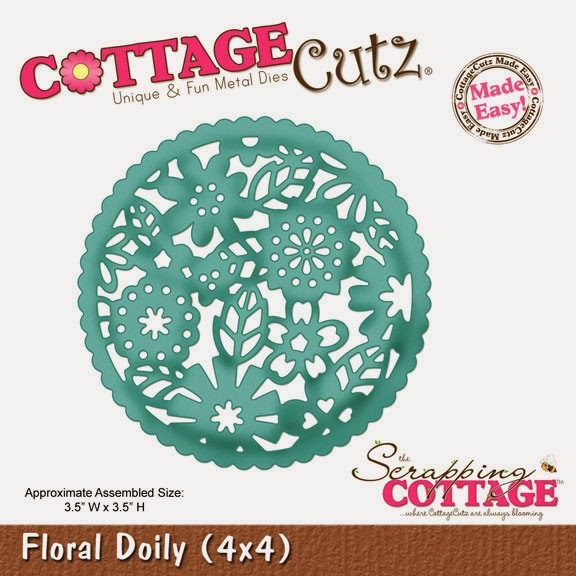 The Fancy Floral Corner #2 was used along with Lace Flower Doily from past collections. Lots of layers-just like I love it. Stitching and distress ink along with glitter and bling and I was a happy camper in my craft room creating this. Thanks so much for dropping by to see my creation today. 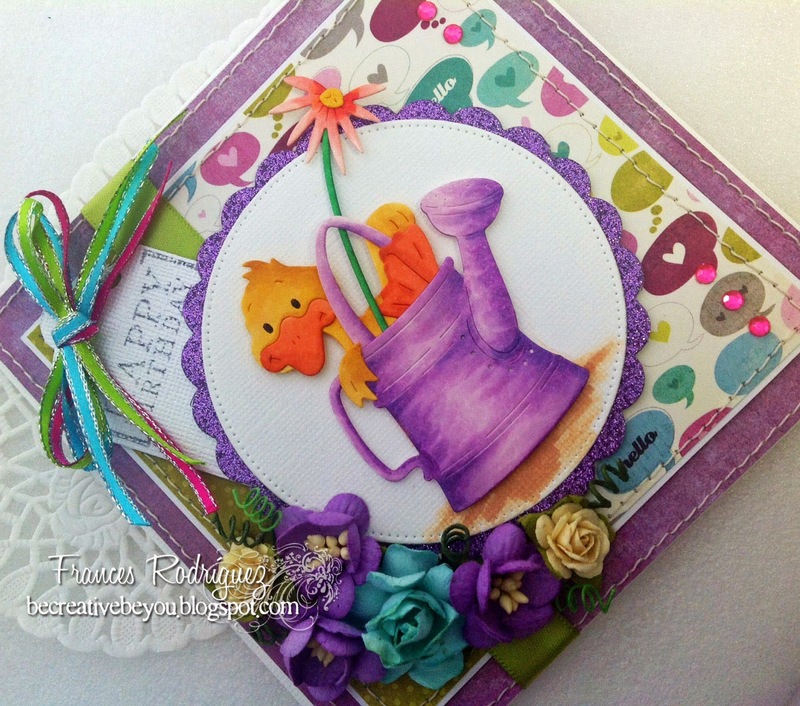 If you have time this week, please come and play the Teapot Challenge at Splitcoast Stampers. Until next time, Happy Crafting and see you soon!